When I was a teenager, I received a beautiful, leather-bound Thompson Chain Reference Bible as a prize at church. One of the resources it had at the end, just before the concordance and maps, was an “Archaeological Supplement,” written by Dr. G. Frederick Owens. It was a fascinating, faith-boosting experience to read about the excavation of the very sites I was reading about in the Bible. Thus began my fascination with the archaeology of the Holy Land. The Indiana Jones movies only fueled this interest. Now that I’m writing regular updates on current events in the world of biblical archaeology for the Associates For Biblical Research (shameless plug: http://www.biblearchaeology.org/currentevents.aspx), I’m sometimes asked where I find my information. 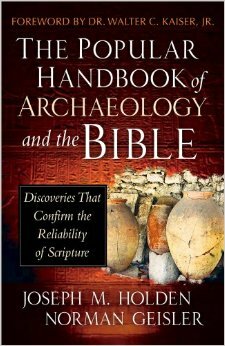 Others have asked if there are any good resources that describe discoveries in archaeology which demonstrate the historical reliability of the Bible. In answer to those questions, I share this blog with some of the resources I’ve found helpful. I should add a disclaimer before I begin. I’ve limited my recommendations to authors and websites that I believe hold to a high view of Scripture (as I do). By that I mean, they believe that the Bible is inspired by God, inerrant in it’s original autographs, and authoritative. Because so much of archaeology is interpretation (some have estimated that only 10% of archaeology is digging and 90% is interpretation), one is never free of their biases. This is why two archaeologists can look at the same data from the same site and come to very different conclusions. Anyone who has done any research on the excavations of the city of Jericho know this to be the case. Thus, since the purpose of this blog is to present resources that illustrate the historicity of Scripture, I’m only recommend these types of books and websites. In the interest of full-disclosure, I wanted to admit this at the outset. 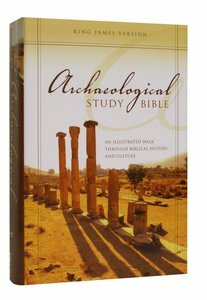 When it comes to books, the first resource I would recommend is the Archaeological Study Bible, published by Zondervan. As a Study Bible, it has helpful articles throughout on a variety of topics, including ones on Ancient Peoples, Lands and Rulers, Cultural and Historical Notes, Evidence for the Reliability of the Bible, Archaeological Sites, etc. Since these articles are placed at the appropriate places throughout Scripture, one can read about the archaeological evidence at the same time one reads the biblical account of that person, place or event. Holden and Geisler’s book is excellent as a summary, but due to its intended focus, lacks the depth of information on some archaeological finds as its only an overview. Still, for people looking for a quick reference, this is an excellent resource. The third book I would recommend is an older one: Archaeology In Bible Lands, by Howard F. Vos, presents the history of excavations of numerous cities and regions. Many of the places that were excavated in the 1800’s and early 1900’s are no longer accessible to archaeologists today. Thus, many of the findings are still relevant, since, in some cases, political and military situations no longer permit access to these sites. In other cases, knowing the history of archaeological excavations is helpful, as excavators have moved on to other areas in city or region. Knowing about the the work of John T. Wood in excavating the Temple of Artemis in Ephesus, for example, is helpful to students of the Bible. 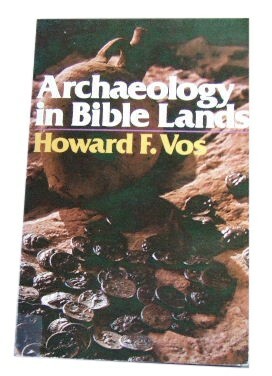 In this regard, while it was published in 1977 and does not contain current information, Vos’s book is an excellent resource for those looking for information about what has been referred to as “Bible Archaeology’s golden age” in the 19th and early 20th century. 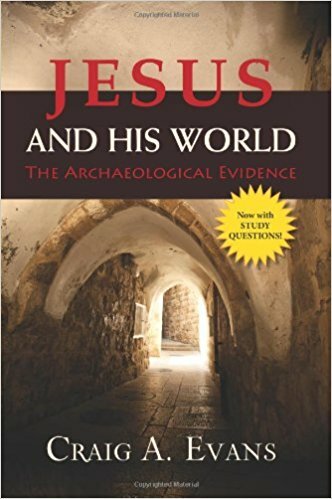 I’d also recommend a book about the archaeology related to Jesus; Craig A. Evans has published a helpful work entitled, Jesus and His World: The Archaeological Evidence. This book goes beyond evidence for the historicity of Jesus Christ of Nazareth to looking at the world in which Jesus lived. Does the world described in the gospels match up with archaeological findings from New Testament-era sites in Israel? For example, critics have suggested that synagogues were not used by Jews in Israel prior to the destruction of the temple in 70 A.D. Yet the Bible describes Jesus teaching in synagogues around Galilee. Evans presents inscriptional evidence and current archaeological findings from 8 known pre-70 AD Jewish synagogues to demonstrate that the Bible is correct in it’s description of the world Jesus lived. http://blog.bibleplaces.com/ – Todd Bolen, Associate Professor of Biblical Studies at The Master’s College oversees the Bible Places blog. His “Weekend Roundup” of news in biblical archaeology is a must-read! https://ferrelljenkins.wordpress.com/ – Ferrell Jenkins has been leading tours in the Holy Land since 1967 and taught in the Biblical Studies department at Florida College, Temple Terrace, FL for 25 years. His Travel Blog is a great way to visit biblical sites vicariously. https://holylandphotos.wordpress.com/ – Carl Rasmussen is Professor Emeritus of Old Testament at Bethel University in St. Paul, Minnesota. His website is devoted to discussing sites, peoples, and events related to the Bible, the Ancient Near East, and classical studies. http://www.ritmeyer.com/ – Leen Ritmeyer is an archaeological architect who has been involved in all of Jerusalem’s major excavations for over 30 years. He was chief architect of the Temple Mount Excavations directed by the late Prof. Benjamin Mazar of Hebrew University from 1973-78. He is the world’s leading expert on the Temple Mount, and his website is a great resource of information for those who have an interest in the history and location of the Jewish temples. 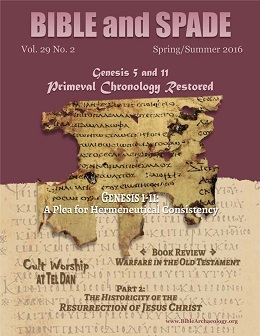 http://www.biblearchaeology.org/ – Finally, I’d be remiss if I didn’t promote the work of the Associates for Biblical Research (again!). Several years ago, I stumbled across their website and have been impressed with their research and scholarship and their commitment to a high view of Scripture. I highly recommend searching the hundreds of articles they have on their website. It is easy to navigate as they have grouped their articles by category. Finally, let me finish by emphasizing that our trust in the truth of Scripture should not rest on findings in biblical archaeology. Archaeology does not prove the Bible is true. It does, however, demonstrates that the Bible is a historically reliable document describing actual people, places, and past events. While not the “proof-beyond-the-shadow-of-a-doubt” that many unrealistically demand, it helps to establish the reliability of Scripture. Archaeology provides answers and assurance that the faith we proclaim is not built upon fairy tales. I hope the resources I have shared above help to this end.